I bet what happened to me yesterday has happened to you, too. And, because so many people are also doing it here on social media, then be sure to keep reading. Yesterday I received a request from someone I have not heard from in years asking if I would help them spread the word about an event they are hosting. 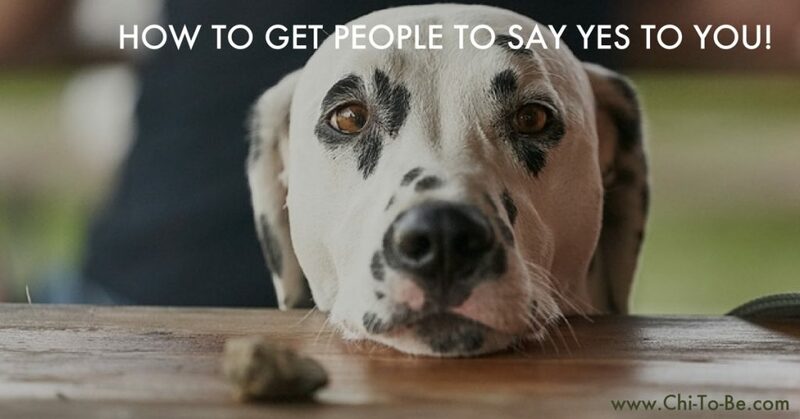 The reason I am bringing this up is because I often hear my new clients say that it feels like they have to beg and do tricks to get others to give them hand or accept their requests for help. And, I let them know that if they have been making requests like this person did to me, then I bet it does feel like begging and most people are going to say “No!” or simply ignore you. And, sure, your friends can listen too! And here are a few tips to reduce the stress in your life even more! 1. I invite you to learn how to use this Energy Surge along with the other 10 Energy Surges by watching this short video. 8. To learn about upcoming The Solution Power Hour Calls please join our Facebook group Positive Solutions from Chi-To-Be! Buy a Book-Save a Life! Doctors acknowledge that stress is a leading factor in the development of life-threatening conditions. This is the reason why I wrote 'Chi-To-Be! Achieving Your Ultimate B-All'. Please click here to learn how you can help me save the lives of people stressed to the snapping point.